"They were killing my friends." That was how Medal of Honor recipient Audie Murphy justified his heroic actions in World War II. As long as there have been wars, men and women in the military have watched their friends die. Experts warn that delaying our grief will complicate our lives. But what about those who have no choice but to delay it until the battle is over? 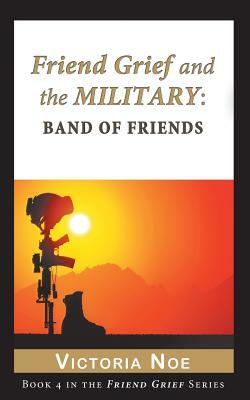 In "Friend Grief and The Military: Band of Friends" you'll meet military and non-combatants who struggle with the grief and guilt of losing their friends. You'll learn, too, in the amazing ways they help each other, that "leave no one behind" is a life-long commitment.